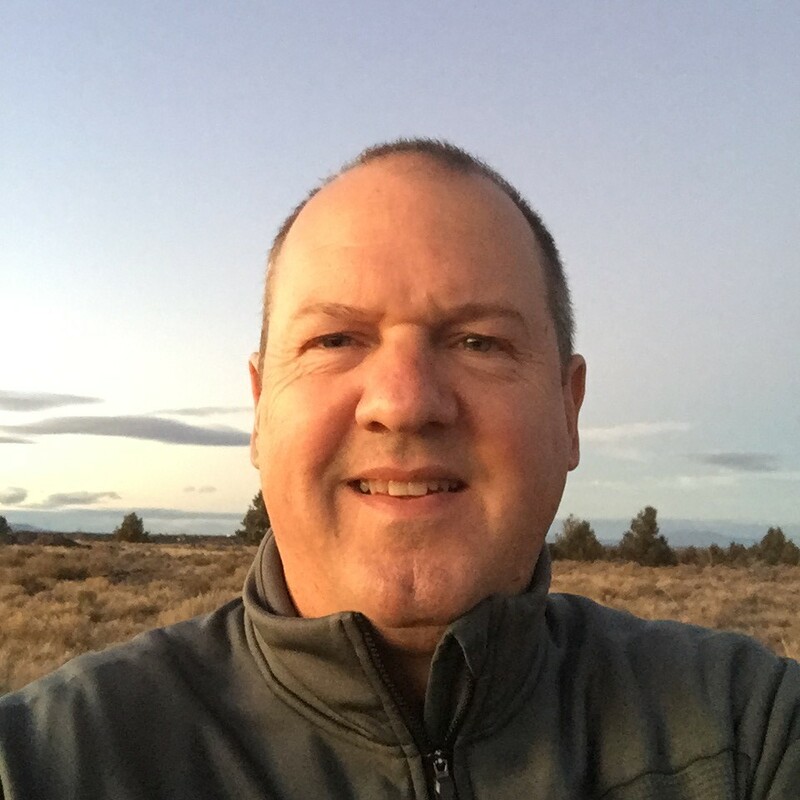 Strengthening Aspect's water resources services for Oregon clients, John Warinner, PE, CWRE joins Aspect as Associate Water Resources Engineer in Bend, Oregon. 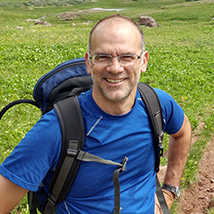 John is a water resources engineer and certified water rights examiner with over 30 years of experience in water supply, water rights, and geographic information system (GIS) projects for irrigators, public agencies, and private industry. John has applied his engineering and client-service skills to monitoring, assessing, design, and permitting for a variety of water system projects, including watershed; groundwater aquifers; irrigation systems; wastewater and nutrient recovery systems; and water rights. He also brings keen insight into GIS and data management. John will work out of Bend, supporting Aspect’s Portland office and clients as well as expanding Aspect’s capabilities for clients in central and eastern Oregon. My father was an Air Force fighter pilot, so my family moved around a lot when I was young. I was born in Charleston, SC, and we moved to Oscoda, MI when I was 10 days old. After several more stops in California and Florida, our family first moved to the Pacific Northwest in about 1968. We lived in Medford, OR while my father was serving in Vietnam. When my father returned from overseas, we moved to Klamath Falls, OR. We moved a few more times to North Dakota, Rhode Island, and Texas, before ultimately settling back in Klamath Falls for my high school and college years. After attending college in Oregon and Texas, I returned to Portland, OR for several years, then moved to Walla Walla, WA for over two decades. In 2013, my wife, Amy, and I moved our family to Bend, OR. So we are approaching five years now in Bend. 2. What inspired/led you to pursue work in water resources? My interest in water resources started during high school, living on an irrigated hay-grain farm in the Klamath Basin. My jobs on the farm included irrigation and hay harvest. I was initially intrigued by the idea of equipping hay balers to moisten hay as it was baled, rather than having to bale the hay during the middle of the night when the dew was on it. I also recall rafting with a friend on the Lost River and being surprised and intrigued by the geothermal springs emerging into the stream. During my study of agricultural engineering at Oregon State University and civil (water resources) engineering at Texas A&M University, I gained a broader perspective of hydrology, hydrogeology, hydraulics, irrigation, drainage, and the more physical aspects of water systems. During that time, my uncle, who was a physics professor at the University of Michigan, introduced me to the Environmental Defense Fund and increased my awareness of watershed ecology, water quality, water rights and allocation, and the challenges of understanding and managing water systems in various settings and at various scales. The deeper you wade into it, the more you realize that water resources is a very broad and dynamic field. In some respects, the fundamentals seem simple and straightforward. But there are many nuances to it. Water systems and the associated challenges vary greatly with both place and time. There are differences in spatial and temporal patterns from one place to another. As they say, you never step twice into the same stream. When you consider the human elements--population, values, interests, knowledge and awareness, expectations, laws, and policies…which also continually evolve and change--it all combines into very intriguing dynamics and associated challenges. Each situation has its own unique fact pattern. I most enjoy getting outdoors, including hiking, mountain climbing, fishing, boating, and mountain biking. I am a pretty big sports fan; mostly basketball. Our youngest son, Brian, is currently a Junior in High School playing on the basketball team. We enjoy watching Brian and his teammates, as well as college and professional basketball. I also enjoy writing poetry and making music. As our kids grow up and move out of the house, I am interested to spend more time doing that. I am pretty happy exploring the Pacific Northwest with the wilderness areas in the Cascades, the Oregon Coast, the San Juan Islands. Most of my travel outside of the Northwest is geared toward visiting my parents and other family members in Ohio and Texas. I would love to go back to Bowron Lakes up in British Columbia. Perhaps South America and Machu Picchu. Some day, I would love to spend some extended time visiting Europe.